A home is a sensory experience. A feeling, a smell, the visual delights, the neighbourhood sounds – a taste of the good life……and then there’s that magical 6thsense which tells us it’s the right home! Through outstanding service delivery, Jawitz Properties strives to re-define the residential property experience, for every client, every time. Not surprisingly, clients want to deal with consummate professionals able to secure the best deal. They want superior, cutting edge service, delivered by consultants that understand the importance of constant communication. And, of course, they want absolute honesty and integrity. 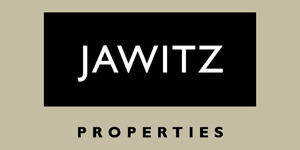 At Jawitz Properties, we are determined to excel and to exceed our clients’ expectations – on every level, always. And, through our 45 years’ of knowledge and experience, superior systems and technology and of course, total commitment, we’re equipped to do so. Always attuned to the pulse of the market, we make it our business to evolve continually and identify new opportunities. Which is why we offer a distinctive range of property services that spans residential sales and marketing, property management, corporate relocations, rentals and home loans.